Madhya Pradesh Chief Secretary Basant Pratap Singh addresses the reporters during Gwalior visit along with DGP Rishi Shukla on Saturday. 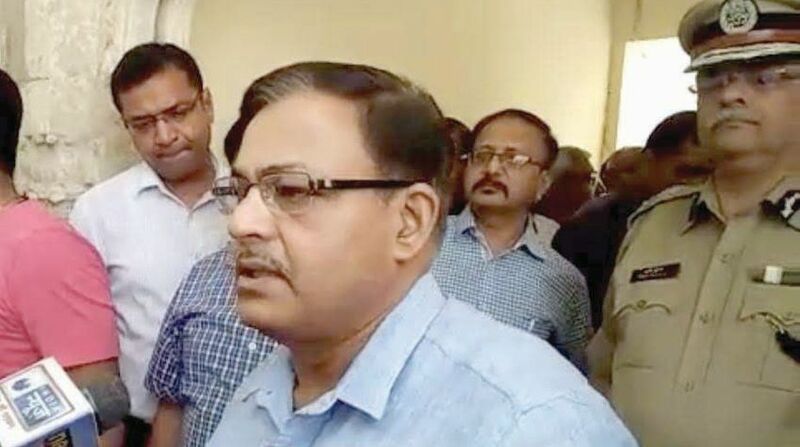 Madhya Pradesh chief secretary Basant Pratap Singh said on Saturday that strict action will be taken against those involved in the violence that took place on 2 April in the Gwalior-Chambal region during the Bharat Bandh called by Dalit organisations against the recent order of the Supreme Court on the SC/ST Act. Singh and Madhya Pradesh’s Director General of Police (DGP), Rishi Kumar Shukla, are on a two-day visit to review the law and order situation in Bhind, Morena and Gwalior districts. Eight persons were killed, several critically injured and hundreds of vehicles, shops and showrooms were damaged in teh region during the violence on 2 April. When asked who should be held responsible for creating such a stuation he said nobody is guilty, it is the fault of social fabric. DGP Shukla said intelligence agencies had warned that protests are likely to be held but they erupted simultaneously from 6 a.m. on that day at many places in the Gwalior-Chambal division. “Additional forces have been deployed in the affected areas to control any unpleasant situation, and an additional DG rank police officer of intelligence has also been stationed to keep an eye on any unlawful activity,” said Shukla. “The police is identifying hooligans through CCTV camera footage and teams of cyber crime cell are also keeping a watch on social media to prevent rumour-mongering,” the DGP said. Night curfew is continuing in 10 areas. The administration and police are worried about the Bharat bandh called by some organisations on 10 April. 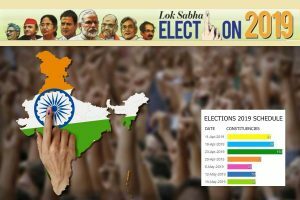 On 14 April, a rally and processions will be taken out on the occasion of Ambedkar Jayanti and Parushuram Jayanti will be observed on 18 April.